It is disheartening at times to witness the injustice and cruelty that is manifested on earth and yet God seems to let it happen. Malicious, selfish and cruel human beings seem to be rewarded with wealth, health, power and glory in the world while those who strive to live and behave according to conscience and reason must often endure poverty, illness, persecution and suffering. We must regularly watch selfish dictators slaughter their own people in order to retain power, bankers accumulate vast amounts of wealth while hard-working people struggle to feed their families, depraved priests and ministers abuse innocent children and fleece the members of their congregation for their own selfish ends, and corrupted politicians being bribed by large corporations. If God is omniscient does He also just sit by and watch all this injustice without responding in any way? God must know something that we don't! If He is a God of Justice, Mercy and Judgment, His Justice will be realized in the end. Surely, it is the wicked that are being deceived by the world, while the innocent enter the kingdom of God. The earth is not a place where we fulfill our selfish desires; it is the place where we freely and willingly build our soul. And the quality of our soul will determine the spiritual atmosphere in which we will feel most at ease and comfortable after we leave the earth. Those who consistently indulge in selfish or infernal delights while on earth, ultimately develop an infernal soul that only has the capacity to reside in the obscure spheres of hell. And, in hell, they will continue to experience the fire of their unfulfilled and burning lusts. They will also clash with others like themselves who desire to rule through threat, fear, and punishment. 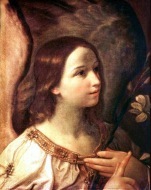 In contrast, those who have freely and willingly developed a heavenly soul by means of faith in God and useful and charitable works on earth will be able to reside in the harmonious, enlightened and delightful spheres of Heaven where they will continue to perform a useful function in the company of peaceful and mindful angels like themselves. This is God's ultimate Justice.